Since our creation, we have been fortunate to work with Clip n Climb Cambridge from the very start, forming both a strategic and fundamental part of the work that we do in the process as well as an exceptional friendship. We passionately share an ethos around inclusion for all, trying new challenges as a group and individuals and promoting healthy lifestyle activities. The kindness of Clip n Climb Cambridge has allowed us to deliver monthly climbing sessions with them for those we support alongside their siblings and parents, in a real family focused way. 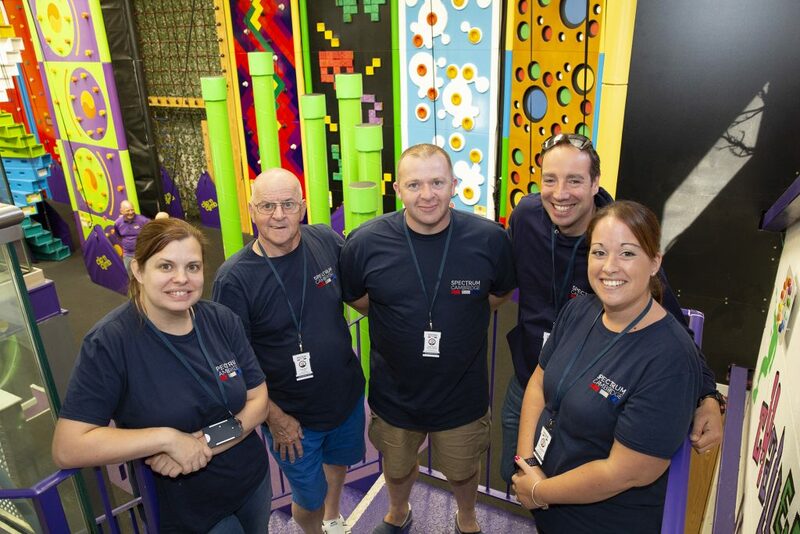 With over 15 walls of different levels to try, plus the extremes of the Stairway to Heaven and Vertical Drop, all the ingredients are there for a fantastic visit every time and it never fails to deliver. 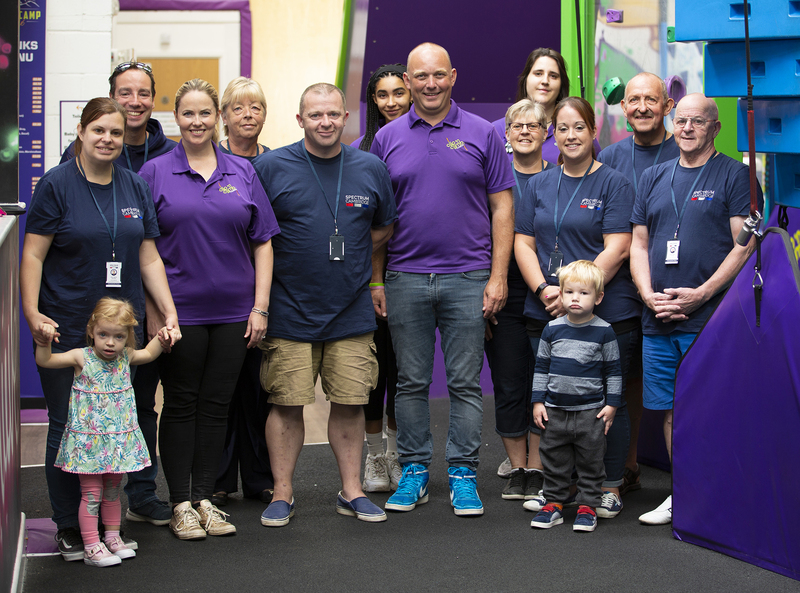 Not only do we have our regular sessions, but Clip n Climb Cambridge have also teamed up with us on fundraising activities and attended some of our other events also. 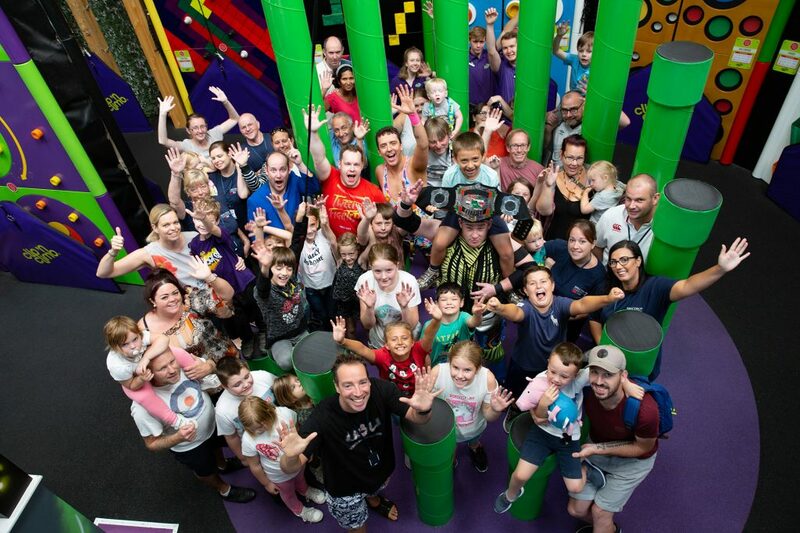 Clip n Climb is very much like climbing meets theme park and somewhere we will always feel perfectly at home. 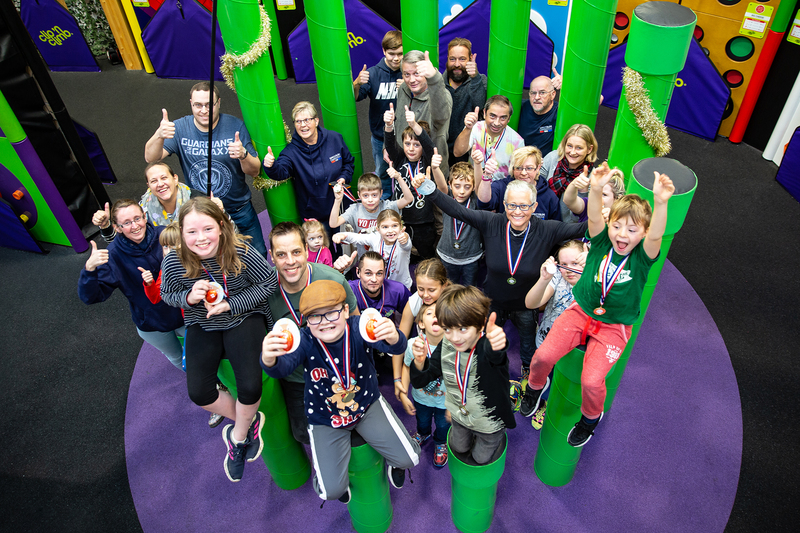 Outside of the dedicated Spectrum sessions, on the 2nd, 3rd and 4th Sunday, Clip n Climb Cambridge run a special session for those climbers with special educational needs. Between 9 and 10am, they provide a calm environment for your child and their siblings to climb. They tend to turn their music right down, and there are plenty of instructors to help. They also have a climbing hoist that we can use to help those who find it difficult to climb. We are able to help two people per session with the hoist. If you would like to pre-book the hoist for your child, please email hello@clipnclimbcambridge.co.uk or call them on 01223 941 700. The hoist is not in operation all of the time, and needs to be set up, so we need to know that you would like to use it. You are very welcome to arrange a time to visit the centre before your session to be shown the walls and hoist. Sessions are £10 per climber. View from the Stairway to Heaven!